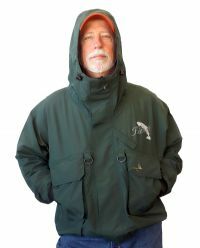 This breathable rain jacket is Alaska worthy! Loaded with features and is the best valued, fully functional rain jacket on the market. One piece fabric from front to back - no seams!